Compassion Games is creating Peace on Earth by 2030! To Change The World We Need To Dream A New One Into Existence. This Takes Courage, Knowledge, And People Who Believe That Future Is Possible. We believe it is possible to create Peace on Earth by 2030; the question is how? How do we mobilize and engage social innovators and youth around the globe to create Peace on Earth by 2030? We are collaborating on a Bottom-Up Grand Strategy to Reinvent the Planet that contributes to achieving the UN Global Goals and creates a breakthrough “social change game” we call Peace on Earth by 2030. We invite you to play and become a Patron to contribute to its development! 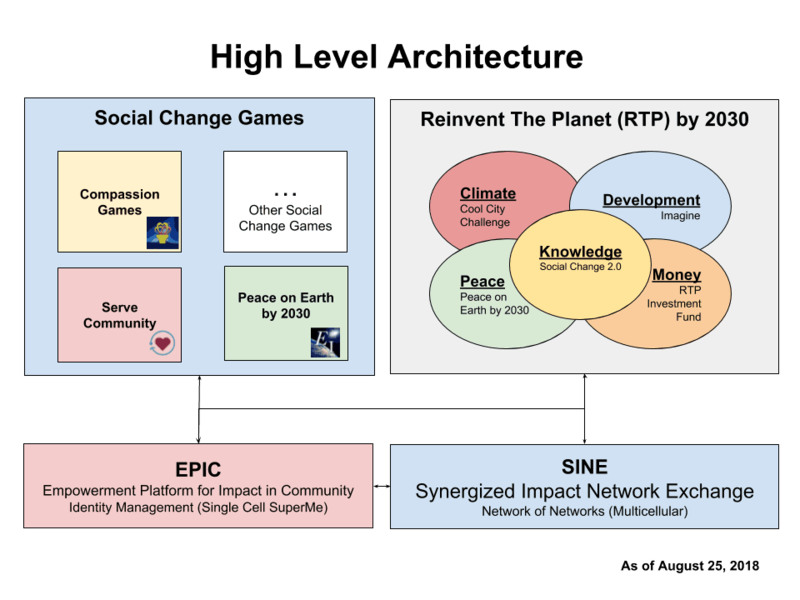 The Compassion Games, Empowerment Institute, Serve Community and many others are partnering in unprecedented ways to design and play Peace on Earth by 2030. In July 2018 we started with Sevens Actions to Create Peace on Earth and two very different teams. The Hustlers for Humanity at UCSB in Santa Barbara and the Marefat High School in Kabul, Afghanistan. Here is a Game Map. Click here to explore the 7 actions, players, and teams. One action is to "Befriend the Other." This requires players to reach out to someone that is different and ask to be their friends. Inspired by the Empty Hands Music video "We Shall Overcome - Love Will Rise Again," Sahar and her team at Marefat High School are planning synergized Peace Waves with the message of love, kindness, and compassion that they will perform and record on the streets of Kabul. In this short video, Sahar shares why she is willing to risk her life to make this happen. Each of the 7 actions challenges the players and teams to create transformative social change, making the impossible possible. 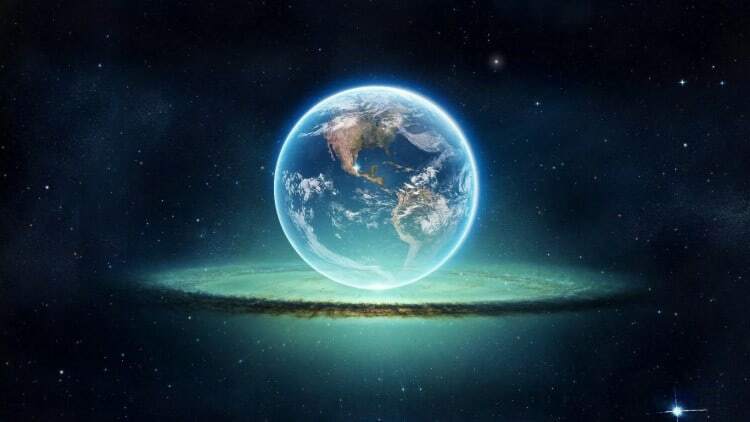 Peace on Earth 2030 is funded by "We the Global People" - that's you and me! Please become a patron and support its development. Let's make the impossible, possible! How will we reach the critical mass and engage them to play? Another of the Seven Actions is to gather a Critical Mass of Dream Keepers willing to act to make our collective dream a reality. 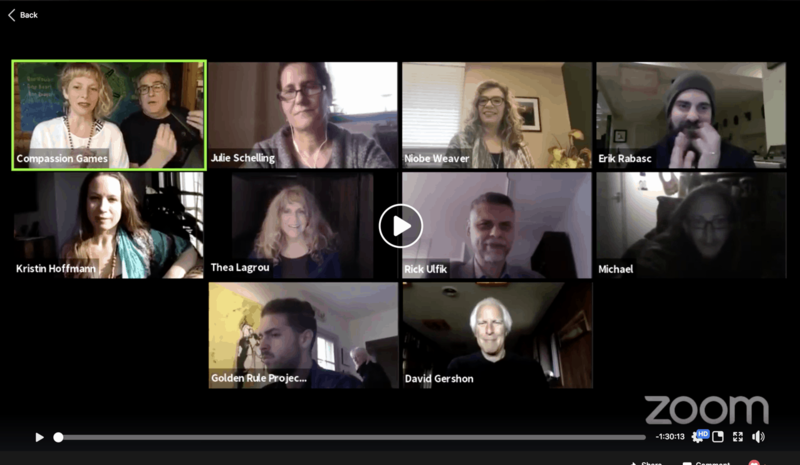 We host quarterly online Peace Wave Summits that highlight social innovators and youth leaders demonstrating models of transformative social change. The real-time summits are also fun! During the summit, we organize a Compassion Game to multiply our sharing of Facebook Livestreams and to make waves of social change. These waves reach like-minded people and increase the numbers of players and teams who care and share with each other. This is a win-win challenge to be authentic, creative, and join in and surf the flow of this collective pattern of uplift. 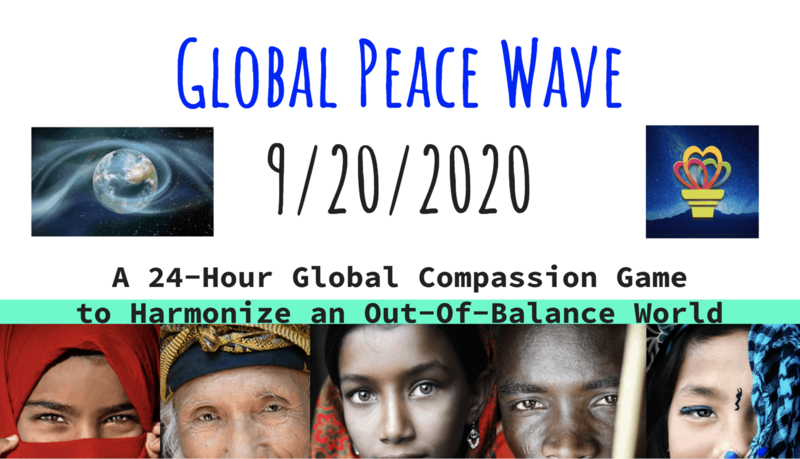 Our global launch event is a Global Peace Wave with 100 Million People online simultaneously on Sunday, September 20, 2020; the day before the International Day of Peace. We will launch an International decade devoted to achieving the UN Global Goals and creating Peace on Earth by 2030! We envision empowered individuals and communities capable of bringing about the large-scale behavior changes needed to address the urgent and imminent threats to our human civilization. With compassion, we can turn our empathy into action and apply the principle that "the hurt of one is the hurt of all" and "the honor of one is the honor of all". As we play Peace on Earth by 2030 we respect and listen past our differences while attuning to each other's needs and co-creating creative solutions. We meet face to face to build social bonds, celebrate the oneness of the human family, and to weave our strategies together. 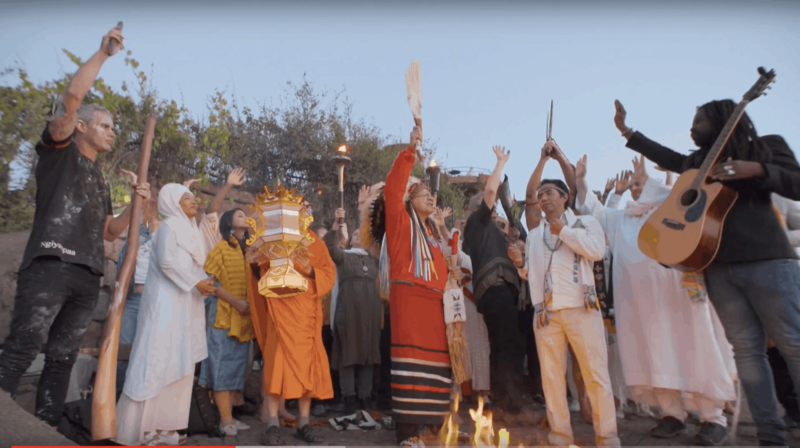 SINE Founder Unity Earth convenes U Day Festivals along the Road to 2020. This photo was from the 2018 U Day Festival in Ethiopia. Join us! Now with Patreon, we can collectively fund this happening! What do you receive as our Patron? and lots more from players and teams around the world. You will be the first to learn about the new trends, innovations, and tools to engage and empower creating Peace on Earth by 2030. 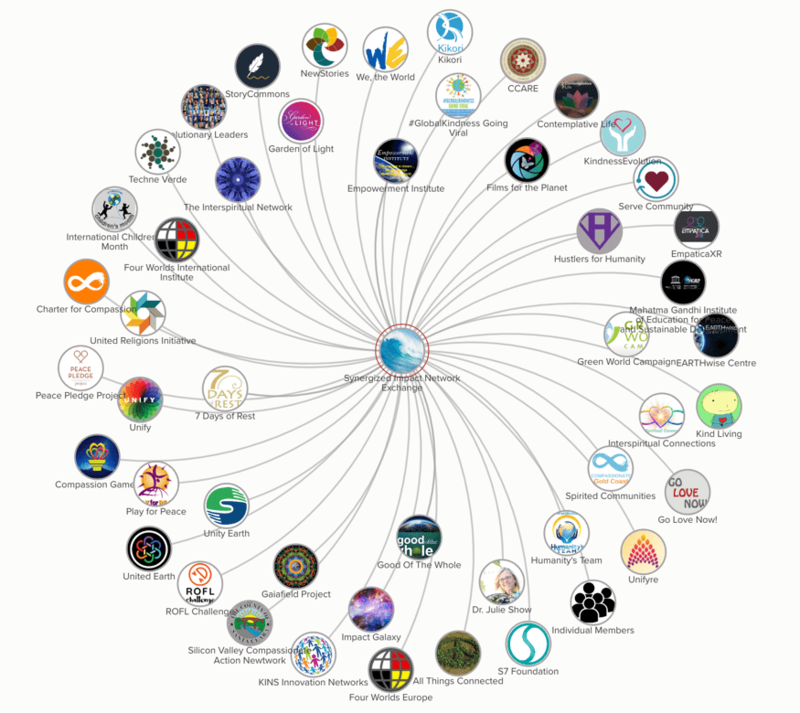 You will receive invitations to monthly Global Social Media Cafes and Online Collaboratories to strengthen and support our ways of playing together to create Peace on Earth by 2030. There is an art and a science to making social change. We play together and build the collective knowledge and skills necessary to bring about the changes we need at the scale we need them. The Compassion Report Map is a way for players and teams to share their output, outcomes, and impact by sharing what they did and reflecting on the impact it had on themselves and the people they served. 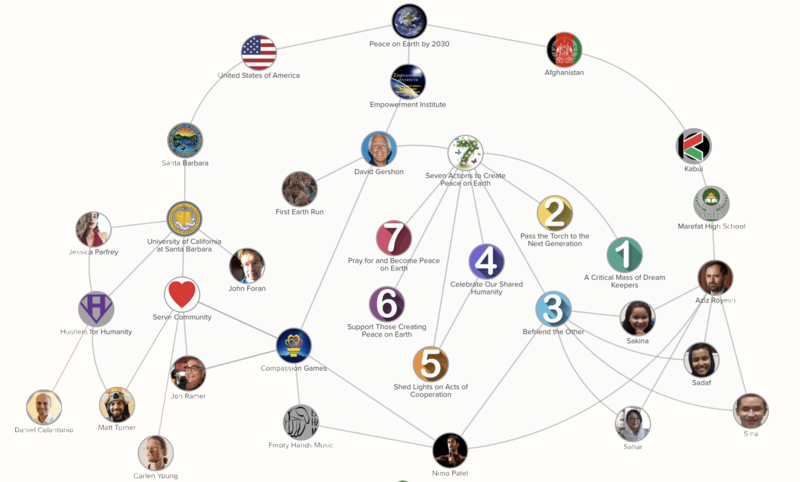 We invite you to share your actions and post your impact on the Compassion Report Map. An open resource for sharing stories and actions; showing the output, outcomes, and impact. We count the number of volunteers, hours served, people served, and money raised for local and global causes. The Compassion Reports enable us to measure and benchmark the collective impact that our actions are having, challenging and inspiring ourselves to be even more creative and kind. You are the fan that keeps the fire alight. Your unwavering support fans the global fire of compassion in told and untold ways. You are the spark that illuminates the night. Your spirit emits the energy to set the compassion of a thousand fires aflame. * Plus all previous rewards! You are the flame lit aloft on a darkened horizon. With your light, you keep the fires of compassion arising. You are the keeper that guards the fire’s light. The global fire of compassion dances with your radiance. You hold the fire of compassion for all to see. When the path is not clear, you show the way. The frost of despair thaws as you approach. A new way of thinking, of being, emerges. As the Paradigm Shifter, you change the whole game. The Compassion Games Leadership Team will celebrate our first 350 Patrons by upping our own service game and live streaming a "hug and smile mob" and a pop-up community "free compliments booth".